The Northern Ireland final of the Local Heroes Project 2014 was held in Palace Barracks Holywood last month. 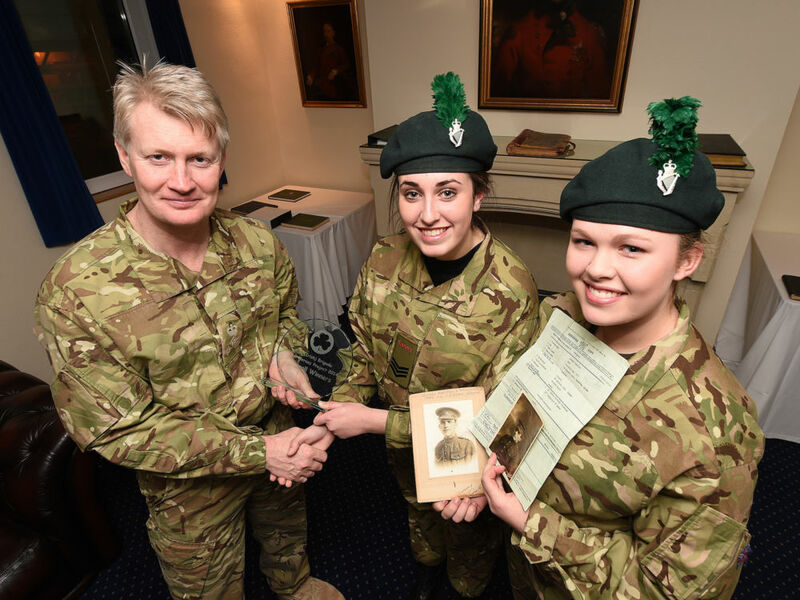 The project involved cadets researching a "local hero" from the First World War, delivering a presentation, a question and answer session and producing a portfolio on their findings. After various elimination rounds, the overall winners were the Ballymena Detachment of 1st (NI) Battalion Army Cadet Force. Cadet Corporal Eve Matthewson of Cambridge House Grammar School and Cadet Corporal Emmalee Wray of Ballymena Academy secured the award, after competing against a possible 3817 cadets across Northern Ireland. The winners recounted the poignant tale of Emmalee's great grandfather Leonard Hamilton who, having immigrated to Canada, joined the Canadian Army at the outbreak of the war in 1914, survived the trenches and later in life returned to Northern Ireland. 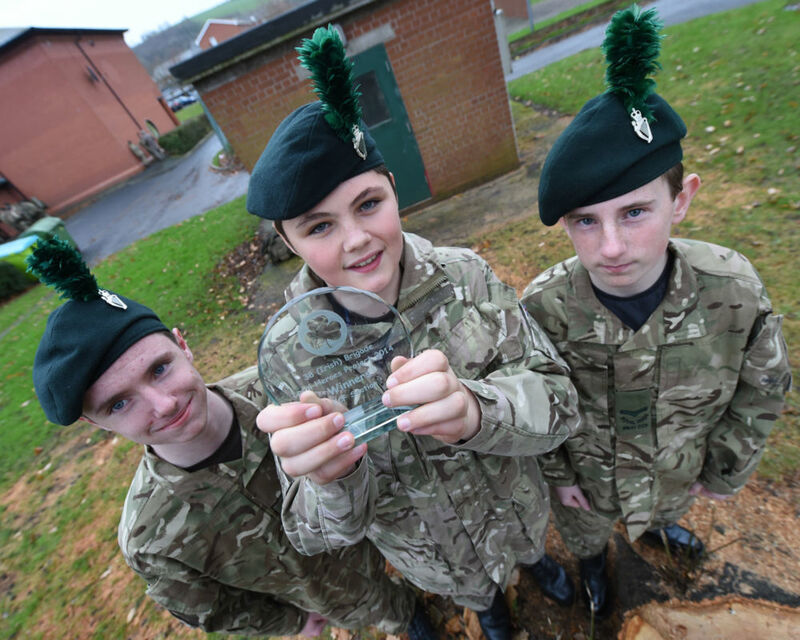 Ballymena also won the Combined Cadet Force (CCF) section of the competition, with the Royal Belfast Academical Institution CCF collecting the award. The judges were impressed by the very high standards of research and the presentational skills displayed by all the teams. Our thanks to the Reserve Forces and Cadets Association (Northern Ireland) who sponsored the prizes and the judges who willingly gave up their time for this very worthy project. Photo 118a: Brig Ralph Wooddisse MBE MC, Commander 38 (Irish) Brigade, presenting Emamalee and Eve with their trophy. Photo 4137: The RBAI CCF team with their trophy.